Biren caught the bar from the roll stand, looped and fed it into the next stand with an impact. As a bar catcher in the steel mill, this was something he had been doing everyday for years. And every time he had settled the bar, he felt the same satisfaction he had felt the first time he did it. The timings were hard but he never complained. He would happily work overtime with the thought of saving some money to send back home and he was in the good books of all babus who had been there. But he dreaded just one thing. “Come on Biren, it’s time to leave”, called Ramesh as he came to him and tapped his shoulder. Biren put his equipment down and tried to look out. The days were getting shorter still and winter was here. And he feared the time. Unlike all of his fellow workers, who loved the idea of getting their shifts over and going back home, Biren always wanted to stay a little longer. But he couldn’t do that everyday, even though he wanted to. Maybe because he didn’t have anything to look forward to. Maybe because he liked the company of his friends better. Biren and Ramesh joined their pack outside who were starting to light their beedis and passing them on. Ramesh would eventually pass one to Biren and he would just take a single puff before passing it on. He didn’t really like smoking but he would do that anyway to be with his friends. Navigation of the way back wasn’t short-lived as Biren would see that slowly, one by one, each of them would cheerfully bid them goodbye and go inside their homes. Sometimes, those who had children will come rushing to them and they would hug them close. Other times, their mothers would welcome them at the door and they would touch their feet and enter. Soon they would be down to two and later still, Ramesh would leave too. He would enter his small room and his wife would be standing behind the opened door before shutting it blocking Biren’s view. Biren would again be alone and his footsteps would become shorter and slower. He dreaded returning home everyday. As much as he wouldn’t want to, Biren would soon be outside his room. He would take out the key from his backpocket and reluctantly put it into the lock of the latch. He would then turn it ever so lazily, closing his eyes while he did that and throw open the door as if in the anticipation of finding someone inside. But he would open his eyes and find no-one. For years, there had been no-one else and slowly even his ‘tanhai’ had left his side. He would be tired but he would still be awake for hours before he could drift to sleep. 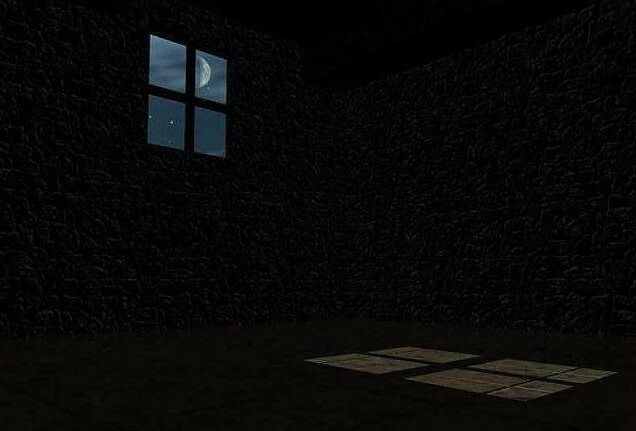 He would look at the shoddy walls of his room, at the bleak roof, at the grim darkness surrounding him and stare out of the window as if to find a way out. But he wouldn’t find it and then his eyes would close. That first morning of basanth, Biren was counting the money he had been saving whole winter out of his overtime and leftovers. He was going home for a day, something that brought a rare smile to his face. He would keep the money in a handkerchief, wrap it with a small polybag and put it into his inner pocket. He would then catch the first bus home and be there by noon. His mother would welcome him with open hands as he would touch her feet. In the evening, his mother would call him to come and sit with his father and tell him they needed to talk. They would tell him it was time he got married. He was 25 now and they had seen a girl for him. She was 19. He was hesitant in the beginning but finally gave in. They told him they were to be married in Holi. Biren took a long leave for Holi. He rarely asked for one and so it wasn’t tough getting. Back home, they had a small, nice feast and the two souls became one forever. It was days after Biren came back with his bride. Out of respect for elders, he rarely got an opportunity to talk to her at home. But when he reached with her to his house, the house she was going to make his home, he found a new life. At night, they sat besides each other, with the bride looking down and Biren facing her. She looked like a little girl, a little stuck, a little afraid. Not able to think of anything else, he asked her name. She lifted her eyes and replied, “Shashi”. At that moment, Biren knew he had found a refuge out of the dark of his nights and a companion for his lonely evenings. And he told her that, that he was her friend just like she was his. He found that she was ready to be one and eventually that she could be the best friend he ever had as they talked through the night. The next day as he navigated his way home from work, he didn’t feel the reluctance he used to feel earlier. Today, he knew that someone was waiting for him. He had always complained to the sun for his black nights but now, he had found a moon. This blog post is inspired by the blogging marathon hosted on IndiBlogger for the launch of the #Fantastico Zica from Tata Motors. You can apply for a test drive of the hatchback Zica today. The story revolves around the impact the protagonist’s bride has on his fearful evenings.